Each person strives to maximize the full realization of his skills and abilities. But what if there is not enough knowledge and experience to implement the plan? Refuse from your goals? It is not necessary, you just need to fill the gaps in knowledge, gain experience. Moreover, the latter does not have to be sad at all – there is no need to learn from their real mistakes … After all, mistakes may well be virtual, respectively, they will not bring any harm, except for good, to you. The absolute majority of modern psychologists agree that any information is perceived much better, more efficiently, if this information is given in a game form. In addition, the brain is designed in such a way that it starts to look for the right way more actively if it is stimulated by adrenaline – adrenaline, in turn, we get in force-majeure situations … If these situations are modeled, then they will bring you a lot of benefit in a kind of new knowledge, skills, abilities. 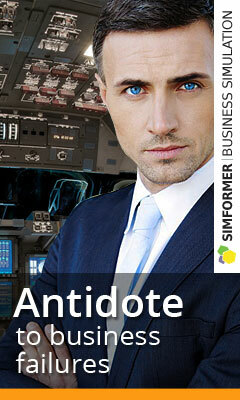 That’s why today use such a great popularity of business games, economic simulators online. In general, economic games, business games as an effective way of developing managerial skills, has been used for a long time – both in the West and in Russia. Another thing is that in most cases such games were part of the training and required the presence of the player in a certain place at a certain time. Today, there is such a thing as online games, business simulators, which greatly simplified the life of a modern person who wants to gain certain knowledge in the field of administration, management and other business areas. – to generate data on the degree of efficiency of business processes. It is clear that the list of tasks that can be solved by high-quality business simulators is not limited to the list presented above, but these points are enough to make sure that you are convinced – flash games, business simulators are worthy that you pay attention to them to become perceive as a powerful tool for teaching managerial and economic skills. Moreover, it is easy to find suitable games, business simulators – Alawar and other similar resources are ready to offer their visitors a wide list of games, business simulators, among which every consumer will be able to find an option to his liking. You can choose the simplest flash games that will not take you much time, but will allow you to build a clear script of how your business should develop. And you can pay attention to complex technological solutions, thanks to which you will not only develop an effective business scenario, but consolidate the basic skills, discover many new, valuable opportunities for effective management and development of your own business. 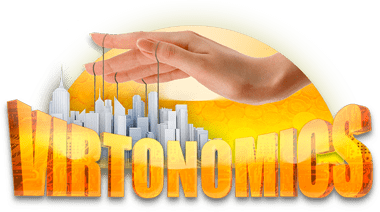 Today the economic game is very popular, which can also be called a business simulator, Virtonomics is a unique project that does not yet have exact analogues. Each participant receives at his disposal the starting capital and is free to do with him whatever he wants – as a result he must build his own business. The peculiarity and difference of Virtonomics from many other online business games is that the players interact not with the computer, but with each other, which makes the game as close to reality as possible, which means that the experience and knowledge acquired during the game will surely come in handy and in real life. Economic strategies, browser-based online games today are often called one of the most popular entertainments of intellectuals. Indeed, more and more managers, managers, entrepreneurs are not just resting in front of a television with a newspaper or an economic magazine, but preferring to play online in economic games – this rest allows you to lose the accumulated stress during the day and at the same time brings tangible benefits.